Product, and environmental protection through proper filtration and airflow. The AllerGard 620 is offered in 3 sizes and 2 distinct configurations. 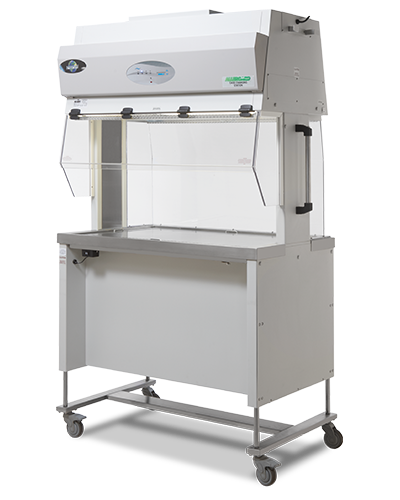 As a singled sided unit the NU-620 protects personnel by containing allergens shed by animals and bedding materials through an air barrier of 75 fpm (0.38 m/s) at the front of the cabinet and offers animal protection through uniform down flow air at 60 fpm (0.30 m/s) minimizing cross contamination. As a dual sided cabinet the NU-620 maximizes usable space allowing access to the work zone from either side of the cabinet. Personnel, product, and environmental protection through proper filtration and airflow. 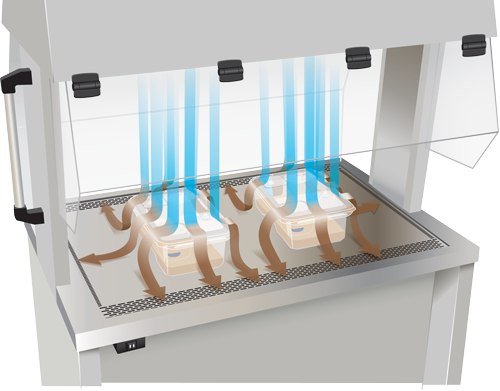 A dynamic air barrier of 75 fpm (0.38 m/s) is created at the front of the cabinet separating the sterile working environment from the containment laboratory environment. With proper technique, the strength of the vacuum captures dander shed by animals minimizing your exposure to allergens. Model NU-620 features a push/pull airflow system to push HEPA filtered air over the work surface and pull worksurface air through the base of the unit and exhausted through a HEPA filter. As a dual sided cabinet the AllerGard NU-620 highlights the ergonomic features designed into the cabinet. 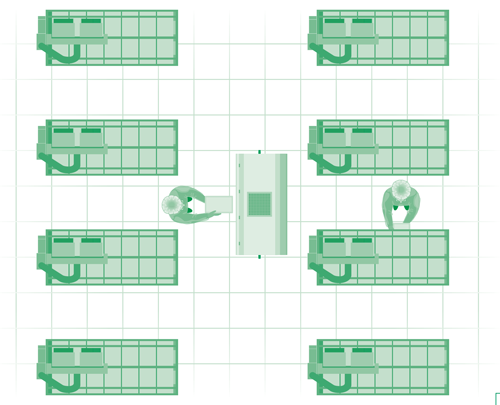 The mobile design allows multiple technicians to use the cabinet at the same time, or allows for easy access when moving the cabinet through a cage aisle. The AeroMax Electronic Control System (ECS) monitors and displays airflow, automatically compensating for filter loading and line voltage variances, always maintaining safe airflow. Increase productivity and reduce workplace injuries. Each facility and application are unique. Model NU-620 offers a variety of built-in options and accessories to maximize workflow and reduce workplace injuries. A magnifying glass embedded in the window enlarges small text. A feed hopper can be attached to either side of the cabinet for easy access to replenish your animals food source. NuAire has the options and accessories to maximize your workflow productivity. AllerGard NU-620 is ergonomically designed providing a large useable work area, a 14-inch (356 mm) access opening, improved vision into the work zone and more. 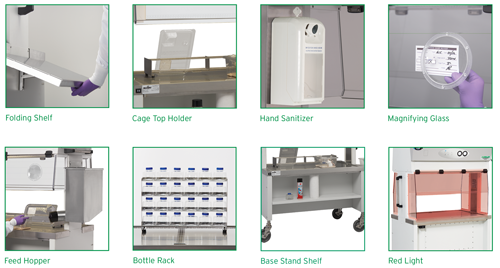 Reduce workplace injuries with Animal Transfer Stations from NuAire. Ready to talk? Fill out the form below.